Authorized by the State Legislature in 1987 and opened in 1991. Four-lane limited access highway extending 32.9 miles from U. S. 412 at Locust Grove to U. S. 412 west of West Siloam springs. Interchanges at Locust Grove, U. S 412 and S. H. 10. Authorized by the State Legislature in 1987 and opened in 1991. Two-lane limited access highway extending 27.1 miles from S. H. 7 west of Sulphur to S. H. 1 near Ada. Only 17.7 miles tolled, with interchanges at S. H. 7, U. S. 177 and Roff. Authorized by the State Legislature in 1965 and opened in 1975. Four-lane limited access highway extending 59 miles on main route from I-35/U. S. 64 east of Enid to Tulsa, and 8.5 miles on a spur connecting the main route with Stillwater and Oklahoma State University. Interchanges at Stillwater, Morrison and Hallett. Service station and restaurant with free restrooms at Lone Chimney. Authorized by the State Legislature in 1987, the original 7.6 miles opened in 1992, and the 4.8 mile Creek West Extension opened in 2000. Four-lane, limited access, urban highway extending 12.4 miles from the Turner Turnpike at S.H. 66 to U.S. 75, giving access to traffic traveling north into Tulsa and south to Okmulgee, continuing west across the Arkansas River to U.S. 64 near 96th Street. It links with an extension of the U.S. 69/ Mingo Valley Expressway. Interchanges at South 49th West Avenue, U.S. 75, Peoria Avenue, Delaware Avenue, Yale Avenue and U.S. 64/Memorial Drive. Authorized by the State Legislature in 1953, the original 86.4 miles opened in 1964, and the 8.2 mile extension authorized in 1987 opened in 2001. The original four-lane, limited access, highway extending 86.4 miles opened in two sections: north section (61.4 miles) from Oklahoma City to U.S. 277 north of Lawton; south section (25.0 miles) from U.S. 277 south of Lawton to U.S. 70, 5.2 miles north of the Texas state line. Interchanges at Chickasha, Cyril, Elgin and Walters. Service station and/or restaurant with free restrooms at Chickasha and Walters. The four-lane, limited access extension runs 8.2 miles within Grady County from an interchange of the original H.E. Bailey Turnpike to S.H. 9. The route generally extends east and west through a rural area west of Norman. Authorized by the State Legislature in 1955, north section opened in 1966 and south section opened in 1970. Four-lane limited access highway extending 105.2 miles in two continuous sections; north section (41.1 miles) from U. S. 75/I-40 near Henryetta to U. S. 69 near McAlester; south section (64.1 miles) from end of north section to U. S. 70 near Hugo. Interchanges at Eufaula, Ulan, McAlester, Daisy and Antlers. Service station and/or restaurant with free restrooms at Eufaula and Antlers. Authorized by the State Legislature in 1987, the original 9.5 miles opened in 1991, and the 15.8 mile extension opened in sections during 2000 and 2001. Four-lane, limited access, urban highway extending 25.3 miles from the Oklahoma City interchange of the Turner Turnpike and I-35 to I-40 between Mustang and Sara Road. The route is generally along Memorial Road on the north, turning south parallel to Sara Road just west of County Line Road, passing by Lake Overholser on its west side parallel to Morgan Road to an interchange at I-40, giving access to traffic traveling east and west on the interstate system. Interchanges at Eastern Ave., U.S. 77/Broadway Extension, Western Ave., Pennsylvania Ave., May Ave., Portland Ave./Lake Hefner Parkway, Meridian Ave., MacArthur Blvd., Rockwell Ave., NW Expressway, Wilshire Blvd., S.H. 66 and N.W. 10th. Authorized by the State legislature in 1965 and opened in 1969. Four-lane limited access highway extending 53.1 miles from Tulsa to I-40 near Webbers Falls. Interchanges at Coweta, Muskogee, U. S. 64 near Webbers Falls. Service station and restaurant with free restrooms at Muskogee. Authorized by the State Legislature in 1947 and opened in 1953. 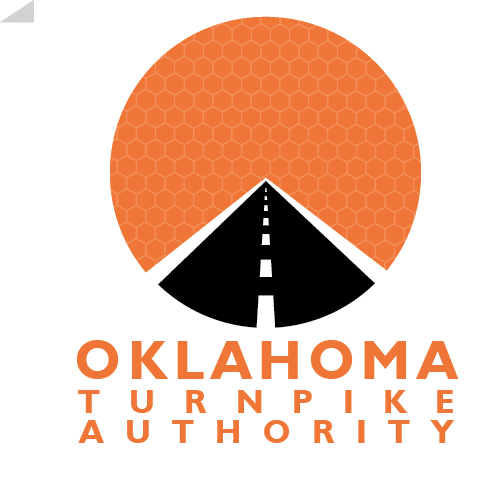 Four-lane limited access highway extending 86.0 miles from Tulsa to Oklahoma City. Interchanges at Sapulpa, Kellyville, Bristow, Stroud, Chandler and Wellston. Service station and/or restaurant with free restrooms at Heyburn, Stroud and Chandler. Authorized by the State Legislature in 1953 and opened in 1957. Four-lane limited access highway extending 86.5 miles from Tulsa to the Oklahoma-Missouri state line about 1,000 feet south of the south-east corner of Kansas. Interchanges at Claremore, Adair (S. H. 28), Big Cabin, Vinita, Afton and Miami. Service station and/or restaurant with free restrooms at Vinita and Miami.